When I drive past storage facilities, I often wonder about the secrets locked up inside. Sometimes I picture piles of money like in Breaking Bad, or hidden body parts like in Silence of the Lambs. But in reality, it’s the random crap that we accumulate over the course of our lives that for some reason, we can’t let go. Years ago, I shared an apartment in Ukrainian Village with my sister Lauren. We moved out in the middle of a hot, humid summer. The apartment did not have central air and the ceiling fan in the kitchen was doing little to cool the place down, so our tempers continued to soar along with the temperature. And since we were going on to two different destinations, multiple trips and stops had to be made with the borrowed van. On the day before our lease was officially up, we still had tons to do before we could even get started on deep cleaning the apartment. Admittedly, we were not the tidiest tenants; we had two cats and had hosted multiple parties that summer. While cleaning the bathroom, we even discovered an unopened Blue Moon in the toilet tank. After taking the last of my furniture to my new apartment, our final stop was to drop off the rest of Lauren’s stuff at her storage locker. The air was sticky and our patience with each other was non-existent after a full day of manual labor fueled solely by a quick McDonald’s run and the pressing matter of getting out of our place before the new tenants were to arrive. At the storage facility, we backed the van into a spot and began unloading Lauren’s things. While we worked, a jeep arrived and three guys in their early 20’s jumped out. They were wearing old t-shirts and shorts, with days’ worth of stubble and baseball caps jammed over shaggy hair. Through some casual small talk, we learned that they were also in the middle of moving and under the gun to get out of their current place before the first of the month. As they unloaded their stuff onto the pavement, the first thing that caught my attention was that they had mostly used cardboard beer boxes to pack their stuff. Corona boxes stuffed with clothes and Budweiser cartons overflowing with notebooks landed on the pavement. As they continued to unload the jeep, the things they pulled out of the trunk got even more ridiculous. One guy had his arms full with a stack of board game boxes. When he put them on the ground, he noticed that they weren’t sitting flat so he peeked between the various games. “Huh,” he said as he reached in between Scrabble and Scattergories and pulled out a handful of orange peels. The next guy carefully extracted a canvas frame from the jeep and set it down against some boxes protectively; it was an oil painting of Fievel from An American Tail. Lauren and I quickly forgot about our own crabbiness as we enjoyed the entertainment of our moving buddies. They all piled back into the jeep and left to pick up more stuff. Lauren and I were finally finishing up with her stuff when they returned. This time, the car was so loaded up that the third dude was hanging onto the back of the jeep, both hands gripping a bungee-corded-down wicker chair like a spider monkey. I could only imagine what precious objects had taken precedence and secured a seat inside the jeep, causing a human being to have to hang on outside a moving vehicle. (I hope it was more Don Bluth-inspired artwork). 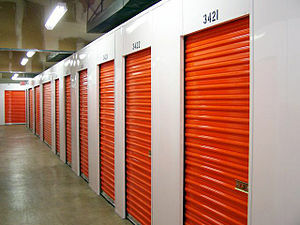 Shows like Storage Wars may make us think that public storage facilities are loaded with priceless heirlooms and diamonds in the rough. But now, each time I pass one, their “Low Rate$!” emblazoned on large signs, I think of paintings of Fievel, clothes shoved in beer boxes, and the carefree sloppiness of being a young-twenty-something, ready to surf on friends’ couches, waiting for the next good party. and thought I may as welol check things out. to going overr your web page for a second time.